We're transforming the industry with unparalleled data, technology, and expertise. Plant breeding is responsible for the success of all modern agricultural crops, but due to prohibition, cannabis is nearly 80 years behind. Since 2014, Phylos has been on a mission to better understand cannabis. Our work is reshaping how the world thinks about medicine, agriculture, recreation, the environment, and our communities. We have worked closely with growers and breeders around the world to better understand their needs and the potential of this powerful plant. 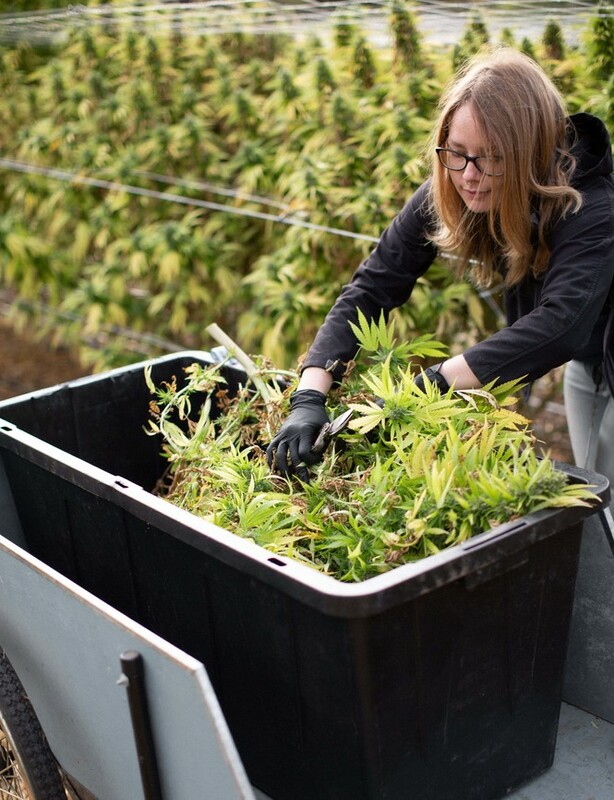 This spring, we’re opening a 95,000 SQFT plant breeding facility 30 minutes outside of Portland that will drive the development of the next generation of transformative cannabis. Our research efforts will enable us to breed new plants with pathogen resistance and other agronomic traits such as high yield, shorter flowering time, and “low-touch” attributes. The fate of other agricultural crops—monoculture and the destruction of genetic diversity—does not have to be the fate of cannabis. We believe the network of small breeders and family farms who created the cannabis industry is still the best hope for preserving the genetic diversity of cannabis. We helped launch Conception Nurseries, a company pioneering a transparent supply chain that supports fair credit and royalties for breeders. 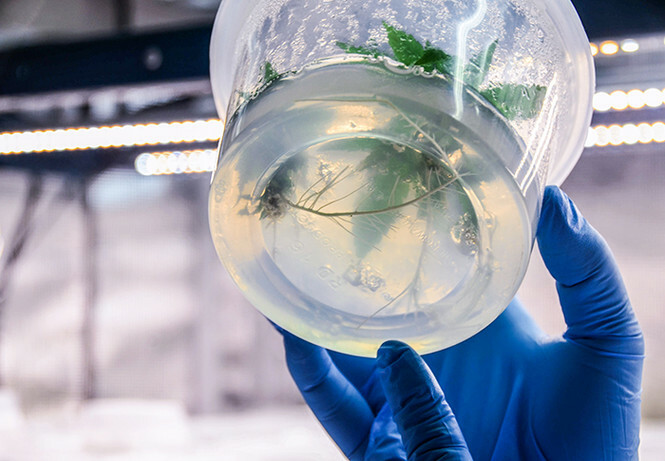 Conception will be a powerful path to market for breeders of all sizes, offer growers vigorous and pathogen-free plantlets at costs lower than in-house production, and will make a diversity of new genetics available to the industry. Learn more at conceptionnurseries.com. The Small Growers Network supports craft growers that keep cannabis diversity alive by growing unique plants using sustainable methods. Our members are supported through economic advantages and scientific insights designed to help them thrive in a competitive marketplace. We offer a limited number of collaborative breeding partnerships to help breeders and cultivators achieve their business goals. From a single-cycle germplasm assessment to a multi-year breeding program, our team works closely with partners throughout the entire process. 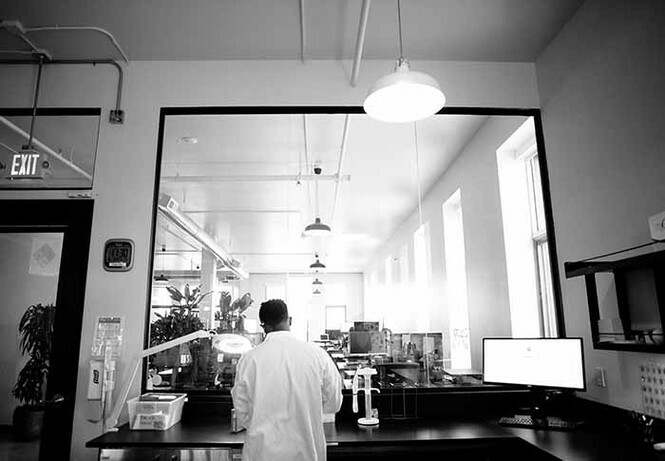 As a science company, we believe it is our responsibility to increase the amount of publicly shared data available to both the research community and cannabis industry. We believe data sharing advances industry innovation and ensures heritage varieties remain protected from overreaching patents. There are many ways to protect plant IP and we believe our customers are entitled to protect their breeding work. Trade secret protection, defensive IP, licensing agreements, breeder’s rights, and USPTO-granted Plant Patents are all effective and legitimate forms of plant IP protection and Phylos can assist with many of these. Customers own their plants and all plants developed in the program with Phylos, and all IP protecting the plants themselves. They also own any data generated in the program, although they necessarily grant Phylos a license to use this data in the aggregate and to retain any IP generated from the aggregated data. Phylos offers solutions for cultivators of all sizes, depending on their capacity for innovation and budgetary cycles. Many of our customers work with us in a progressively collaborative manner, starting with simple or introductory products or services and moving toward more customized solutions. Phylos may file technology patents based on research, science, and aggregate data from our tests. We will not use our customers' DNA sequence data to file patents and customers will always retain ownership over their individual genetic data. We enable every Phylos customer to have their data submitted to the National Center for Biotechnology Information (NCBI). This data is then used by researchers and non-profit organizations, including the Open Cannabis Project, a nonprofit with a mission to make cannabis data public as a defense against patents on plants in the public domain. We encourage our customers to seek legal council from a licensed member of the bar to better understand the options available to them based on their unique genetics. Phylos uploads genotype data to the National Center for Biotechnology Information (NCBI). This does not represent the entire DNA sequence for every plant, but rather the most significant SNPs (single nucleotide polymorphisms) to establish uniqueness from other cannabis cultivars. Phylos will continue to make the identifying DNA data public. It’s the dataset necessary to serve as a clear barcode, to uniquely identify any plant, and to serve a role as defensive IP. We continue on a regular basis, when approved by the customer, to make this dataset public. We require the customer to actively opt-in. Phylos will not, would not, and scientifically can not breed with plant samples that have been submitted for the Galaxy. It is not possible to bring dead plant samples back to life through tissue culture or any other method. The Genotype Test establishes ownership of plants to our customers. We are actively collecting germplasm for our breeding program using fair licensing contracts that provide for credit, royalties, and other benefits to the original owner of the genetics. We'll share more details about these acquisitions as they are finalized.